modmove | Win a Double Pass to see Finding your Feet! Win a Double Pass to see Finding your Feet! Thanks to eOne we have ten double in season passes to giveaway to Finding your Feet! When ‘Lady’ Sandra Abbott (Staunton) discovers that her husband of forty years is having an affair, she seeks refuge with her estranged sister Bif (Imrie) in London. The two couldn’t be more different. Sandra is a fish out of water next to her outspoken, bohemian sibling. But when Bif drags her along to a community dance class, Sandra’s world is transformed. With unexpected friendships, romance, and a holiday in Rome on the horizon, Sandra finds the courage to reinvent herself. 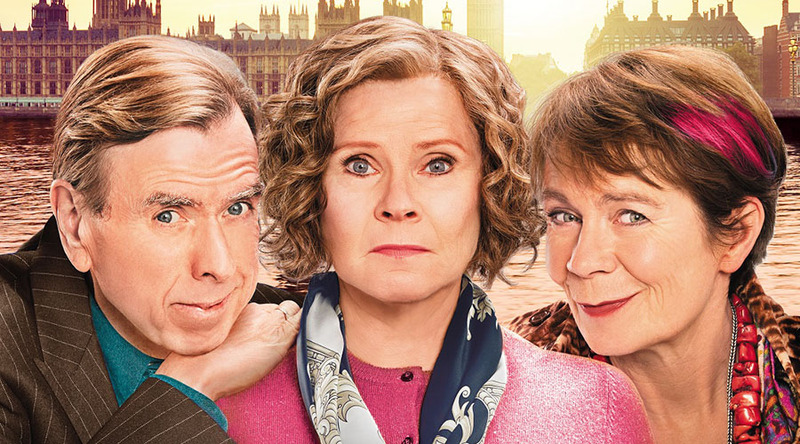 Featuring an acclaimed British cast led by Imelda Staunton, Celia Imrie, Timothy Spall and Joanna Lumley, Finding Your Feet is a hilarious and heartwarming comedy proving it’s never too late to start again. STARRING Imelda Staunton, Timothy Spall, Celia Imrie, David Hayman, John Sessions and Joanna Lumley and DIRECTED by Richard Loncraine – IN CINEMAS FEBRUARY 22! To enter this great competition just fill in the entry form below. Competition will be drawn 21 February 2018, winners will be notified by mail.